Discover your engine’s potential via the detailed information provided by my computerised flow measurement system. Cylinder heads are the most important element of any performance engine build. 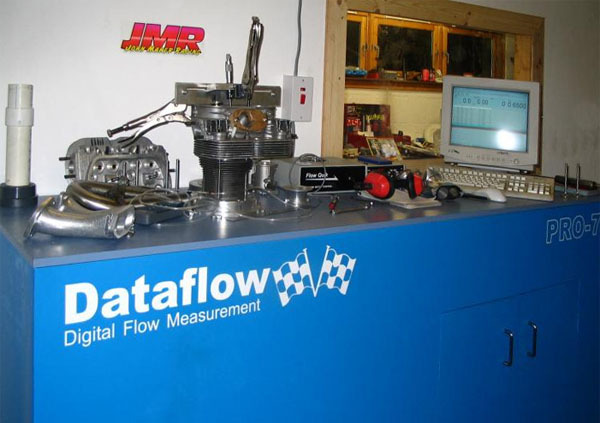 Accurate flow figures and port velocity measurements will reveal your engine’s potential. The JMR flowbench is based on Audie Tecnology’s Flow Quik computerised processor and variable motor controller. Accuracy of my flowbench has been verified by comparing flow results of three precision machined orifice plates with those from a state of the art flowbench at Ford’s HQ in the USA.